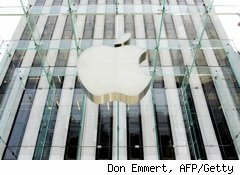 With speculation mounting that Apple (AAPL) is preparing to unveil a new tablet-style computer, the company invited reporters to an event in San Francisco on Jan. 27. As is typical of such Apple events, the Cupertino, Calif. company didn't share any details on the invite, saying only "Come see our latest creation." The event will take place at the Yerba Buena Center for the Arts Theater in San Francisco, beginning at 10 a.m. Pacific Standard Time.Meanwhile, a Chinese language news organization reported that Apple will release a "22-inch touch-enabled all-in-one PC" in 2010, according to an account of the newspaper's story on Digitimes, a tech website. Quanta Computer Incorporated, a Taiwanese PC manufacturer, will produce the device, "with Taiwan-based Sintek Photronic supplying the touchscreen panels," according to the paper. Speculation about a possible Apple tablet computer has been mounting for months, with the company staying characteristically tight-lipped. Apple CEO Steve Jobs's modus operandi in these situations is to let speculation and chatter mount to a feverish pitch, before dropping his "latest creation" on adoring acolytes. While touchscreen technology has been around for many years, touchscreen-enabled devices have not broken out into wide use. Apple is looking to change that with a product it hopes will become as ubiquitous and industry-changing as it's iconic iPod and iPhone -- which disrupted entire markets. With the locus of computing moving away from bulky desktop computers to mobile devices, the time could be right for a tablet PC to break through. Apple may also be looking to incorporate touchscreen technology into its desktop models. Earlier this month, the Wall Street Journal reported that Apple is planning to launch "a multimedia tablet device" with a 10-inch to 11-inch screen in late January, and intends to begin shipping the device at a price point of about $1000 in March.